‘Best Regards’? ‘Cheers’? 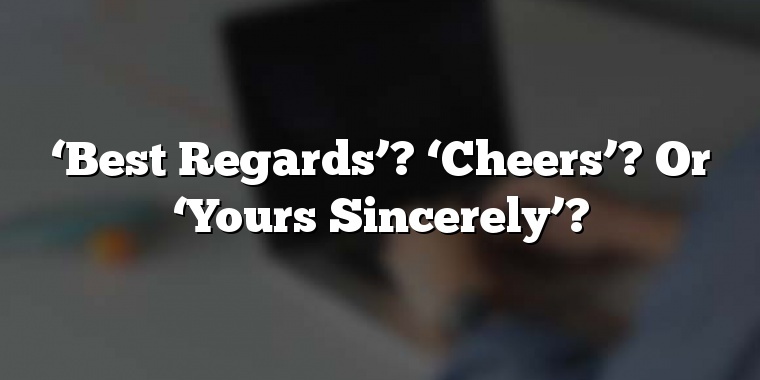 Or ‘Yours Sincerely’? It seems that whether you sign off with "Thanks", "Best Regards" or whatever does make a difference to response rates.